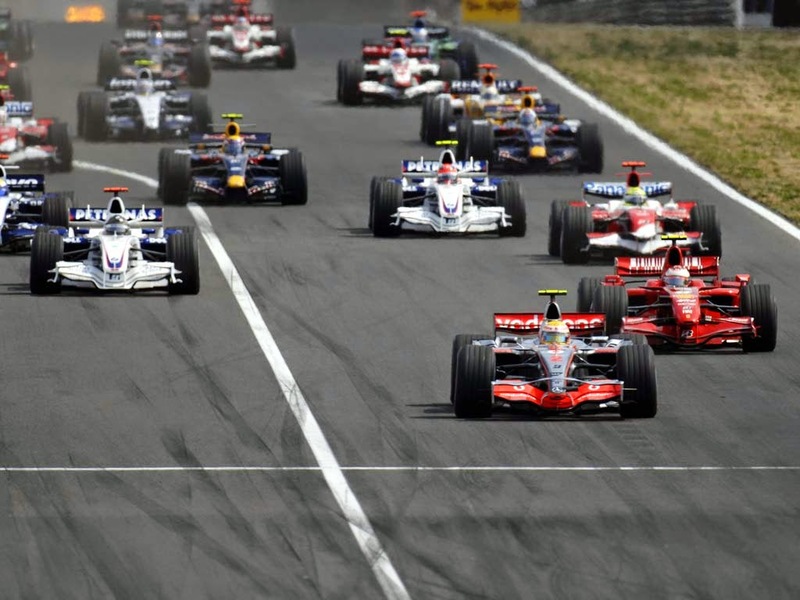 Interesting Facts About Formula1 Racing | Do You Know? 1. Approximate 80,000 components come together to make an F1 car. The cars have to be assembled with cent per cent accuracy. 2. F1 car engines complete their life in about two hours of racing. Just compare this with normal engines which go on serving us faithfully for decent 20 years. 3. F1 drivers have prolonged exposure to high G forces and temperatures for little over an hour. This results in an average F1 driver losing about 4kgs of weight after just one race. However he regains weight afterwards. 4. Before race, drivers drink lot of water to avoid dehydration. The Formula One Cockpits (Seat where the driver sits) generate lot of heat and make drivers sweat off their weight during the race. The drivers can lose approximate 2 to 3 litres of water. 5. The F1 cockpits have drinking bottle installed for the drivers. The water in it also has mineral salts. The drivers can drink water from it via a pipe. 6. Formula One cars are considered to be the fastest circuit-racing cars in the world, owing to very high cornering speeds achieved through the generation of large amounts of aerodynamic downforce. Formula One cars race at speeds of up to 360 km/h (220 mph). 7. The Formula One series originated with the European Grand Prix Motor Racing of the 1920s and 1930s. The "formula" is a set of rules which all participants' cars must meet. 8. An F1 engine usually revs up to 18000 rpm. This means that the piston travels up and down 300 times a second. Road car engines rev up to 6000 rpm at max. 9. Most racing cars have their tyres filled with nitrogen. The reason being nitrogen has a more consistent pressure compared to normal air. 10. Road car tyres can last 60 000 to 100 000 km. On the other hand, racing tyres are designed to last only 90 to 120 km. 11. 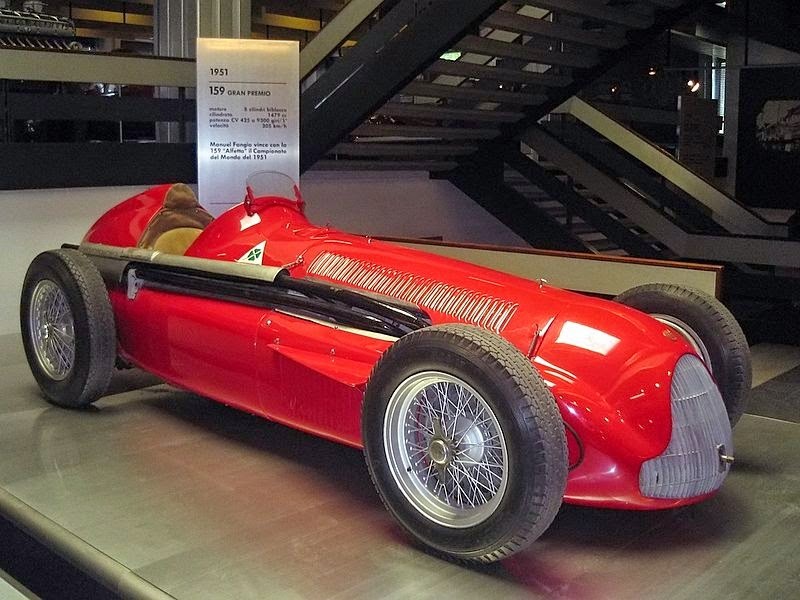 The first Formula One World Championship was won by Italian Giuseppe Farina in his Alfa Romeo during 1950, barely defeating his Argentine teammate Juan Manuel Fangio. 12. However Fangio won the title during 1951, 1954, 1955, 1956 & 1957 (His record of five World Championship titles stood for 45 years until German driver Michael Schumacher took his sixth title during 2003). 13. When an F1 driver puts brakes on his car he experiences huge retardation or deceleration. It could be compared to a regular car driving through a brick wall at the speed of 300kmph. 14. The brake discs in an F1 car have to withstand the operating temperature of approximately 1000 degrees Centigrade. They are made of carbon fibre which is much harder than steel and has a higher melting point. 15. 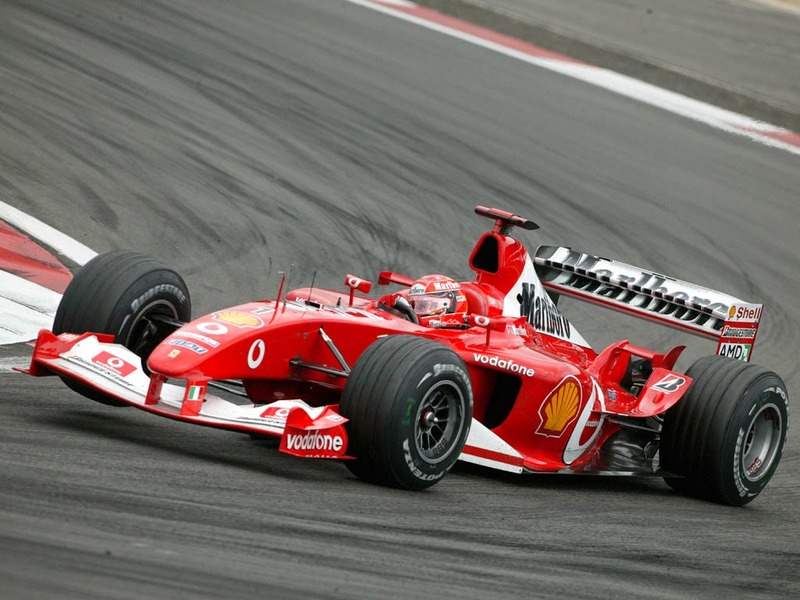 An F1 car can accelerate from 0 to 160 kph and decelerate back to 0 in just four seconds. 16. The cars can be refueled at 12 liters per second. The rig used would take just 4 seconds to fill the tank of an average road car. 17. Pit stop crews take only 3 seconds to refuel and change tyres. 18. The drivers have to remove the steering wheel to get inside the car. A latch behind the steering wheel releases it from the column. 19. The drivers can lose approximate 2 to 3 litres of water. 20. Sports studies have underlined the importance of fluid level in the body. A person who has lost 4% of body weight can lose up to 40% of their psycho-physical ability.